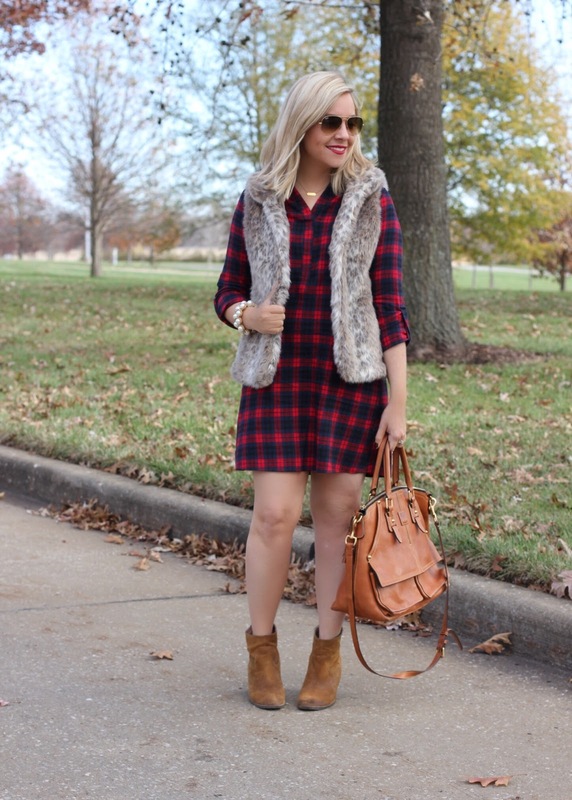 This flannel PinkBlush dress is perfect for keeping you warm and it is super comfy! Plus, it is perfect to wear to a holiday event! Today is the last day of the work week for me! Tonight, my husband and I are getting ready for Thanksgiving! We are hosting our first Thanksgiving this year! Lots of cleaning and cooking are ahead of us! 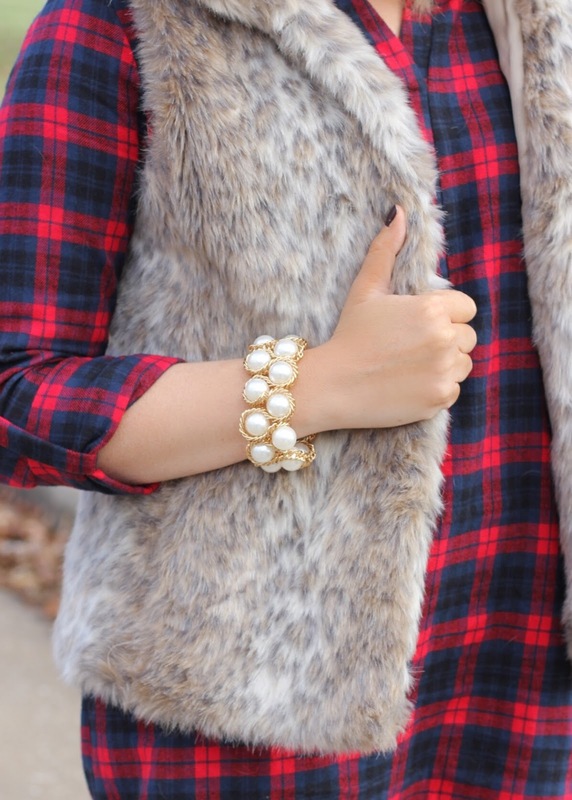 I am so loving the plaid and fur combo here, it's so cozy and perfect for this time of year. Have fun hosting your first Thanksgiving! What a great autumn look! That plaid dress is so cool! This looks really similar to a dress I just recently received from Romwe! I really love how you styled it with the fur vest! Now I want to try this look with my dress! Thanks for sharing and have a wonderful Thanksgiving! I love plaid and fur! So festive! Good luck hosting thanksgiving this week!! I love the paid and fur together!! You look so pretty! You look very pretty in this fall outfit! The plaid dress and faux fur vest make a perfect combination. Love the color and size of the vest! Good luck with all the cooking! Have a nice day, Jacqueline! 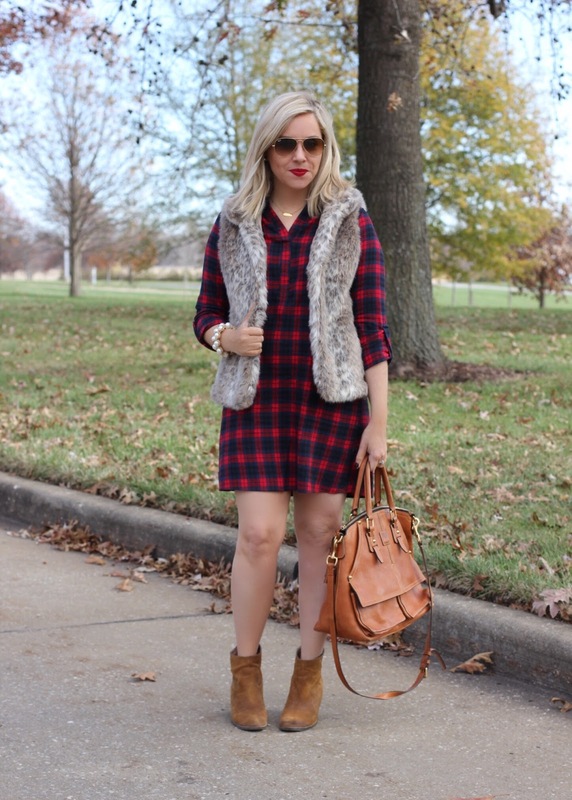 Yes ma'am- plaid + fur any day of the week! 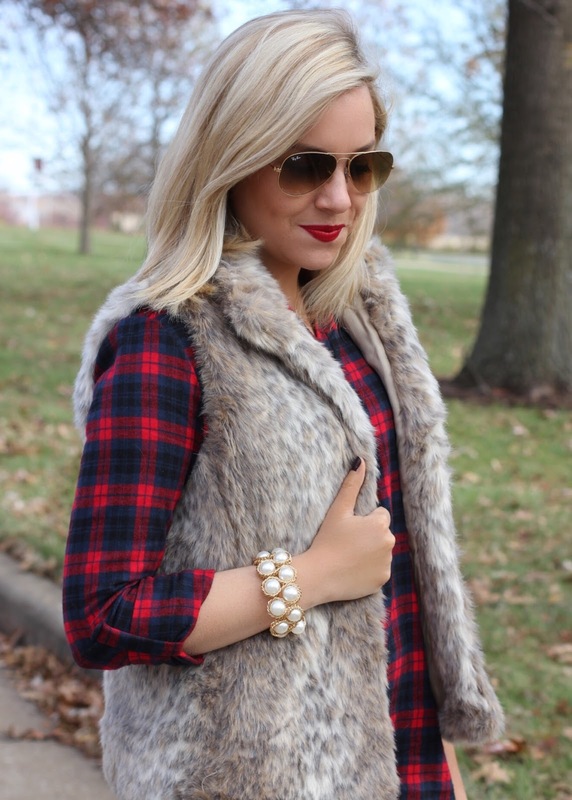 Fur and plaid....basically the perfect fall combination, isn't it? I just need to get me a furr vest like that! It is adorable! love this red plaid, you look gorgeous. Happy Thanksgving!